A Portal is a single instance of a web application with preconfigured integrations with the ClearBlade System to which it belongs. It is fully responsive, mobile-friendly, and customizable. A User can view one page at a time. Every user starts on the ‘Home’ page by default. The page can change programmatically by running CB_PORTAL.selectPage from within a widget’s parser. See Changing Pages. 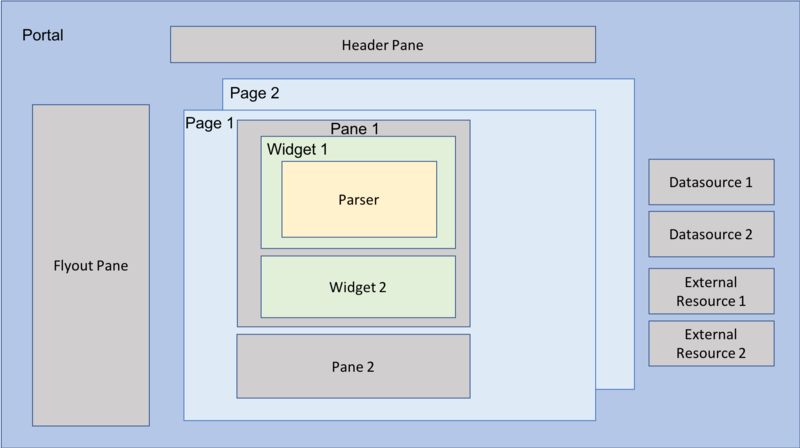 A Pane is a container that holds one or more widgets. The width and height of the pane can be set according to Bootstrap Grid. A widget links to one or more Datasources and renders a visual or a interactive way to manipulate the datasource. A Parser offers a mechanism for manipulating a Datasource’s output prior to its ingestion by a widget. Often times, a Datasource’s output may need to be modified into different data structures to be consumed by different widgets. The customizable pane that flies out from the left-hand side of screen. The portal has a dedicated URL that can be shared and/or linked to a domain name. A [User] can visit a portal and interact with the data, edges, messaging, and other assets. A [User] of a ClearBlade System, such as an Administrator User, can be granted Write access. This will allow a [User] to customize a portal for another user. 1. How do I change settings programmatically? This can be done in the widget’s parser. 1. What are the different methods available on a datasource inside of a parser? Users can access the selected datasource by using this.dsModel. Then pair it with methods such as sendData to call on them after being accessed. Ex. "this.dsModel.sendData(insert datasource name here);"
2. 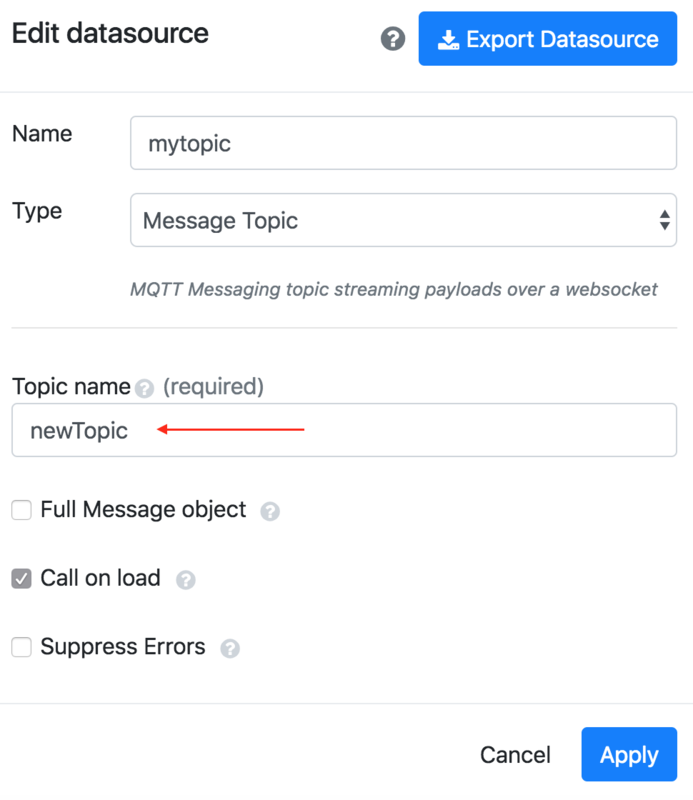 How do I change the message topic on a datasource? 1. How do I set up permissions for rule builder? This can be done in the Roles section of the system. It is recommended to add a new role specifically for the rule builder. 2. How do I use the list widget to update other widgets? As you switch items on the list the text will change to the item’s id.